A high-level Eritrean delegation has arrived in Addis Ababa and has been greeted by Ethiopian Prime Minister Abiy Ahmed. The meeting follows a pledge by Ahmed that he will honour a deal signed in 2000 to end a border war between the two countries. 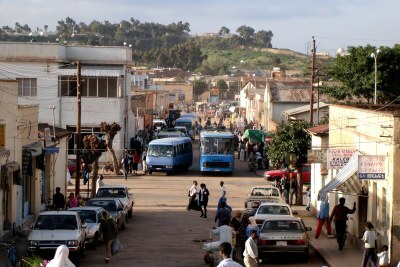 A group of Eritrean men, women and children who have just been dropped off dusty and tired at the entry point in the small town of Adinbried, about 50km southeast of Badme, having crossed the border during the preceding night. 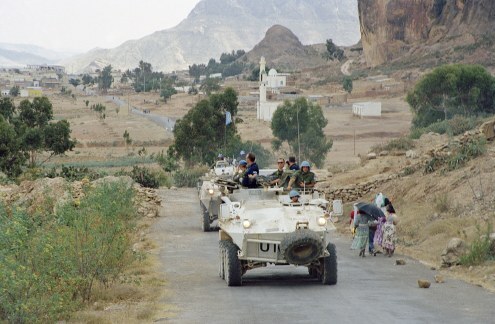 United Nations peacekeepers on patrol on the Eritrean-Ethiopian border (file photo). 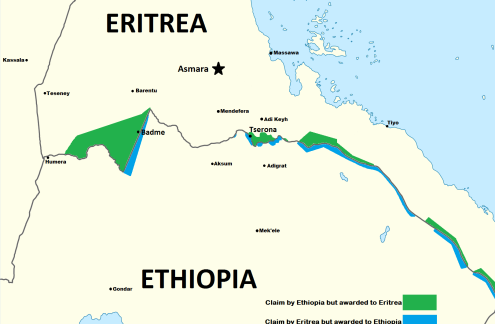 Map showing the disputed border between Ethiopia and Eritrea.